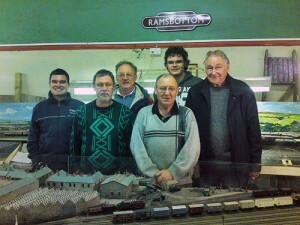 This page will show our current members, past members and some group photographs. At one time we had around 30 members, junior members and assoicate members. Sadly some members find other interests, work commitments or pass away. This is Alan Garside. Alan is our current Chairman and has held the post for around 6 years. He has previously been Treasurer and Chairman. Alan has a really keen eye when it comes to building models of real life buildings such as Mills, Factories and Houses. He is an original member being one of the four at the beginning. Hes been involved since 1978-present. This is Danny Jones (Me), I am the Club Secretary and Webmaster for the website. I have been involved in the club since around 1998 and 2008-present. Being an electrician my skills have come in handy from time to time including a full rewire on the club house and baseboard electronics. This is Keith Cragg. 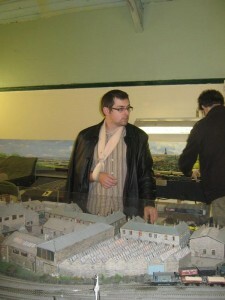 He is the current treasurer for the group and has done for around 6 years. He is brilliant with electronics and track wiring. He is also a keen model building having done all the houses on Kenyon Street on the Ramsbottom layout. 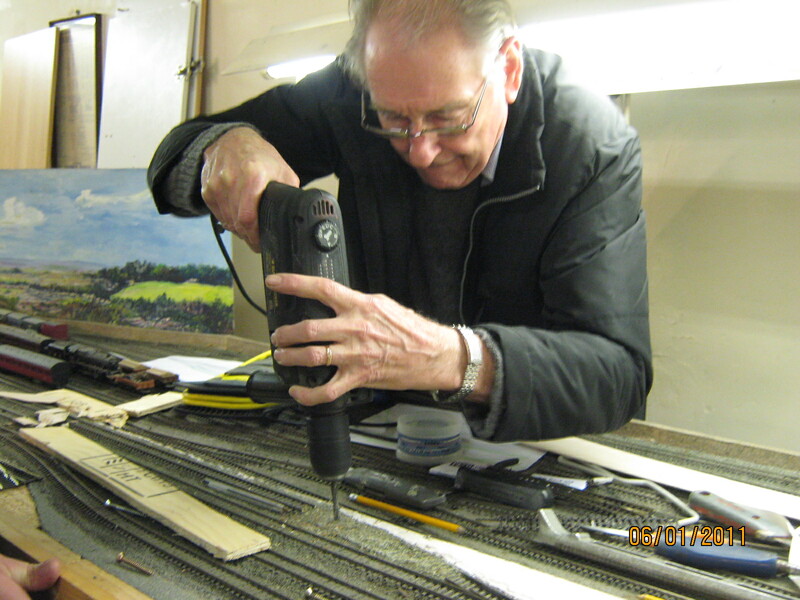 Keith is the second longest serving member. This is Alex King, He is a commitee member. He has been involved twice with the club first around 1998-2000 and then 2008-present. 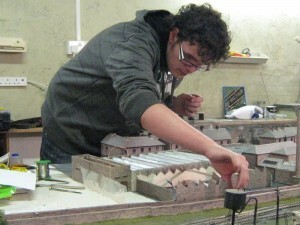 Alex is a whizz with a computer and can come up with brilliant layout plans, pictures, images and is a good keen modeller. He has created some good models in his time including the sleuce in Ramsbottom Paper Mill. 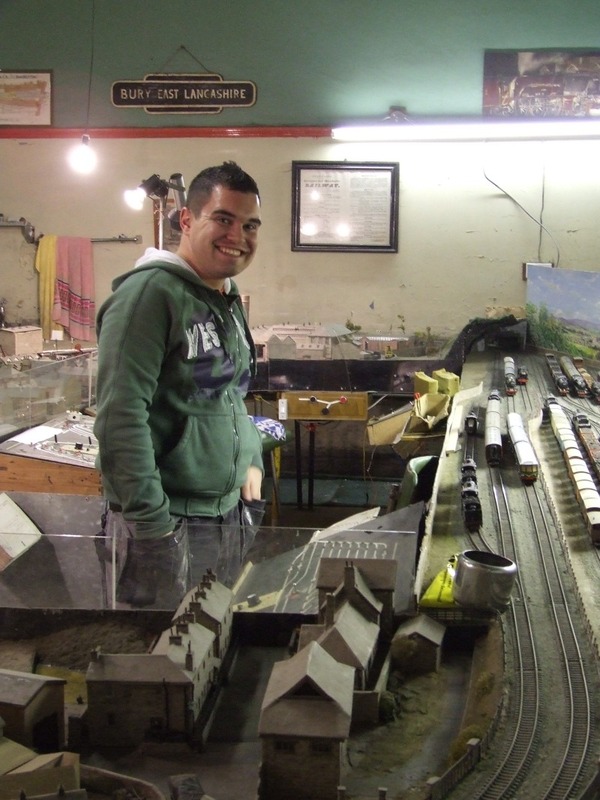 He is also into his Great Western Railway. This is Adrian Hall, he is one of our original members from 1978. He currently lives in Spain and pays us all a visit when hes on holiday back in this country. Adrian was the previous Secretary before Danny Jones but he has also held the position of Chairman and Treasurer. 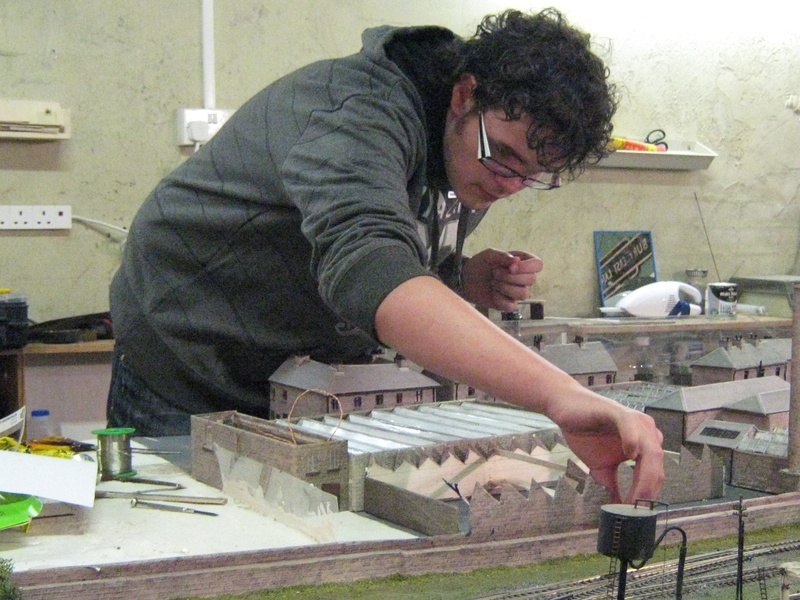 Adrian has good skills at baseboard construction, track laying, scenery and kit building. 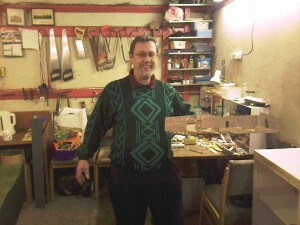 This is our newest member Peter Hankinson. Peter use to be a BT Engineer so has lots of experience with electronics, cables, wiring and much more. 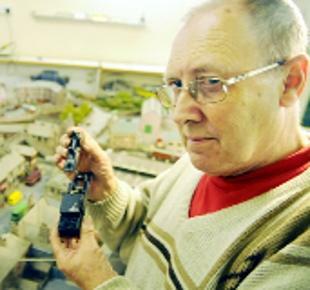 He is pretty new to the model railway scene but keith has taken him under his wing. This is Harry Dennis, He was the one who had the original idea of forming the club and also the first Chairman of the group. He has held various positions over the years including Vice Chairman and Treasurer. In later years Harry couldnt attend as much as he would of like due to poor health and being a carer for his wife. Sadly Harry passed away 13th Febuary 2014, he will be missed by all. This is Roger Wilson. 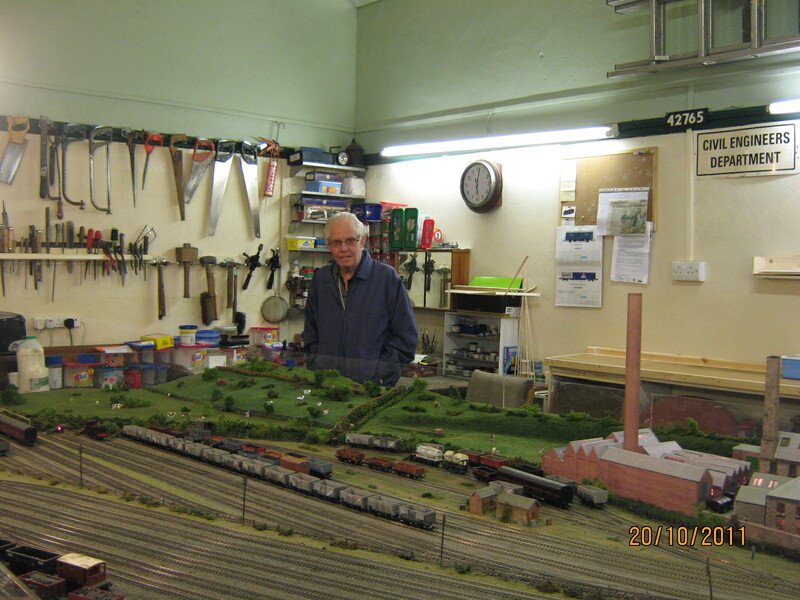 Roger was a member from around 2006-2012. 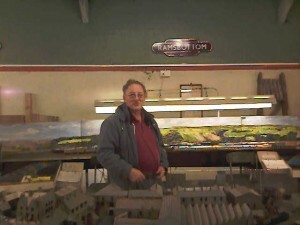 Roger had a keen eye for scenery and could create a scene that you thought was life like. 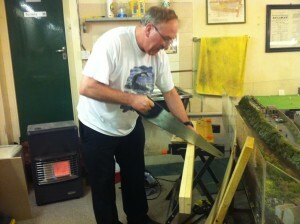 Roger also had good skills at joinery which is used to lay new floors, new porch area, doors and control boxes. Sadly Roger passed away 13th April 2012 after being ill for some time. He will be sadly missed. This is Mark Harrison, Mark was a member when me and Alex were in high school around 1998-2000. He has also in recent years paid a flying visit and also helped out on the 2010 open evening. He isnt able to attend due to work commitments. 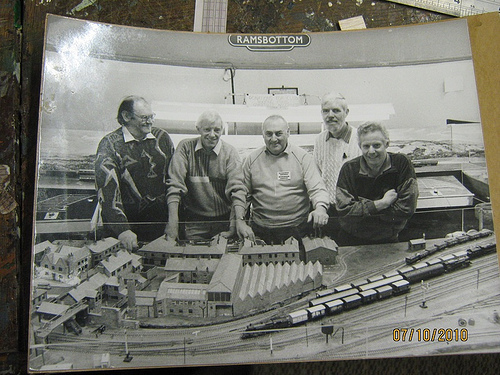 This picture was taken during an openday at the train club building during 1993. Members present L-R Ron Anderton, Brian Morris, Roy Clarkson, Ray Price and Harry Dennis. This is a group photo which was taken by Danny Jones (me). This was really the first attempt to get a decent picture of the current group. Im unsure of the date but i guess between 2009-2010 due to the fact that the club had been rewired but not repainted. 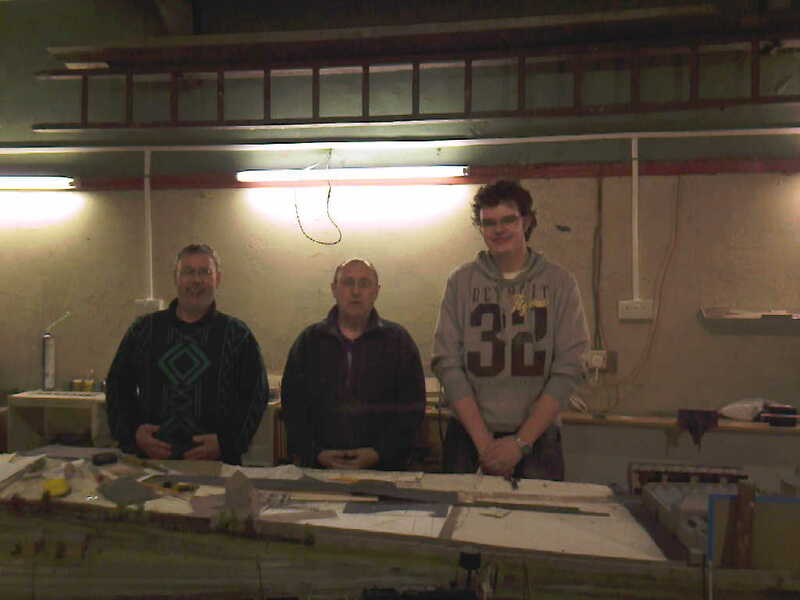 Members present L-R Alex King, Alan Garside, Keith Cragg and Roger Wilson. 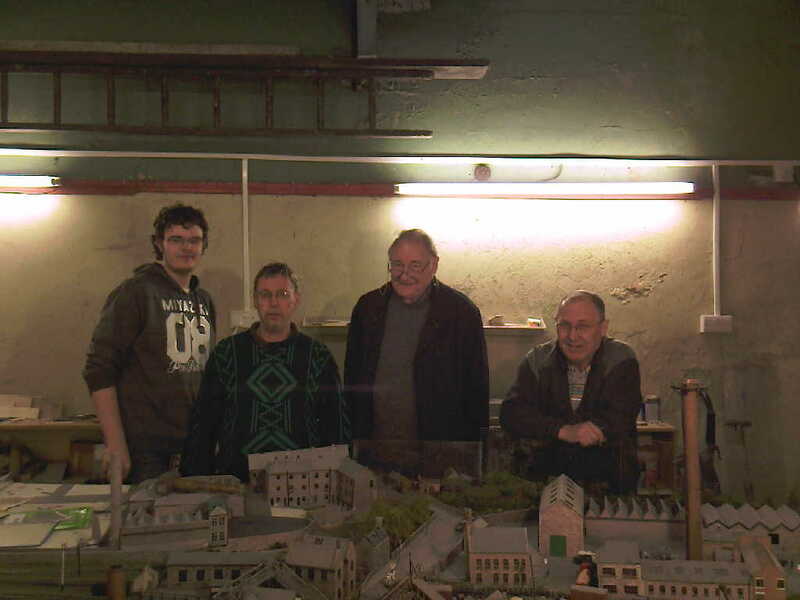 This is the latest group picture that was taken around 2010-2011. Members present L-R are Danny Jones (me), Alan Garside, Adrian Hall, Roger Wilson, Alex King and Keith Cragg.